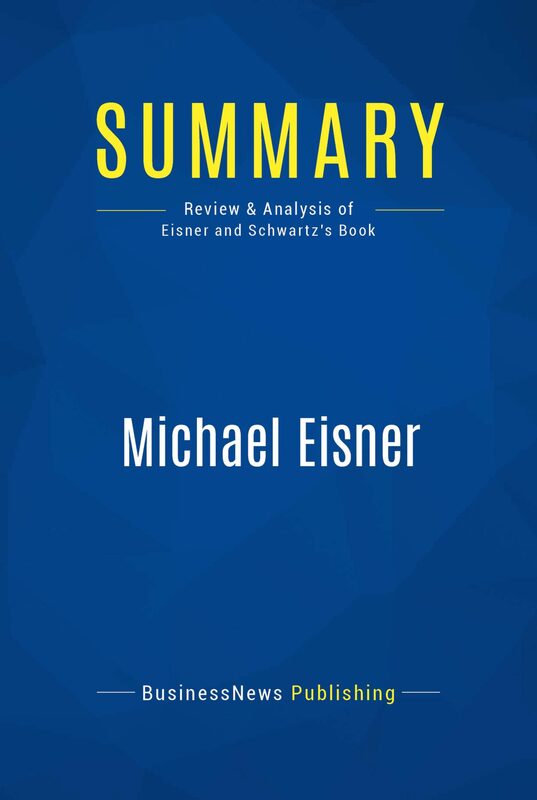 The must-read summary of Michael Eisner and Tony Schwartz's book: "Michael Eisner: Work in Progress".This complete summary of the ideas from Michael Eisner and Tony Schwartz's book "Michael Eisner" tells the success story of the prominent CEO of The Walt Disney Company, Michael Eisner. Blending the personal and the professional, Eisner describes his setbacks and triumphs on the ever-changing marketplace and tells how he lived and worked at the center of American popular culture. In their book, the authors explain how the chairman of The Walt Disney Company transformed a struggling company into a multimedia giant in television, movies, theme parks, radio and theater. This summary provides readers with a valuable insight into the brilliant Disney management team and how they changed the company's future.Added-value of this summary:• Save time• Understand key concepts• Expand your knowledgeTo learn more, read "Michael Eisner" and discover the man behind the management strategy and negotiation secrets of The Walt Disney Company.